Lacking a pithy term for exchanging explicit instant messages? 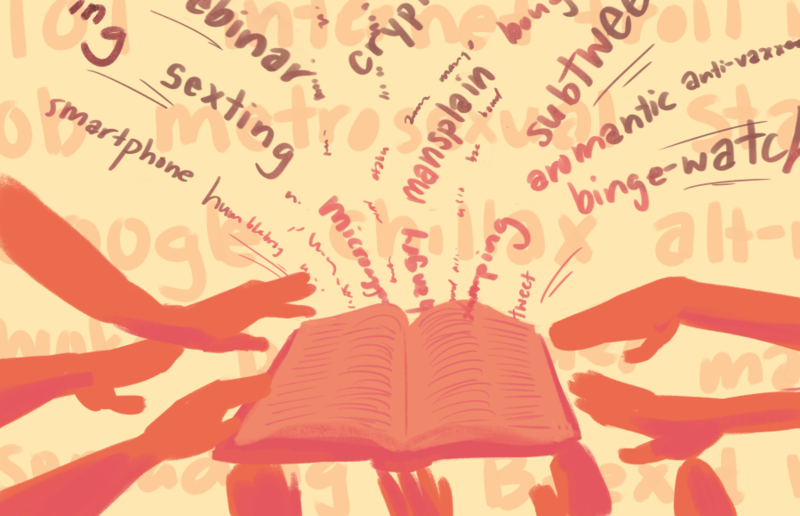 Fear not; English quickly conjures up “sexting,” and voilà: The new word, equally a noun or verb, neatly synthesizes two existing words and is nigh impossible to misunderstand. I’ve always been struck by how odd language is — how meaningless combinations of speech sounds can be strung together in meaningful ways to somehow create an infinite possibility of phrases. Of all of the problems I expected I would encounter in the present, the “grammar police” have not turned out to be one of them. Subtlety, of course, is the enemy of “rules,” those one-size-fits-all, dictatorial commandments that ensure that all over the country, newspapers are using the same style and process for sharing information. I understand the need for these rules, and most of the time, it saves a lot of confusion. What the frick-frack is going on? Our relationship to language is … complicated. Language still manages to surprise with its inbuilt laws and quirks, obvious or not, that continue to confound and delight us. Before my first linguistics class, I felt an immense frustration at the smallest of grammatical errors. As I began taking more and more courses in the subject that would end up becoming my major, I saw my relationship to grammar transform. Chancellor Nicholas Dirks announced the appointment of campus linguistics professor Sharon Inkelas to serve as the Special Faculty Advisor to the Chancellor on Sexual Violence/Sexual Harassment in an email sent to campus Friday evening.